Bamboo pillows may sound like something new age and faddy, but they are actually an old concept for creating quality, comfortable pillows. 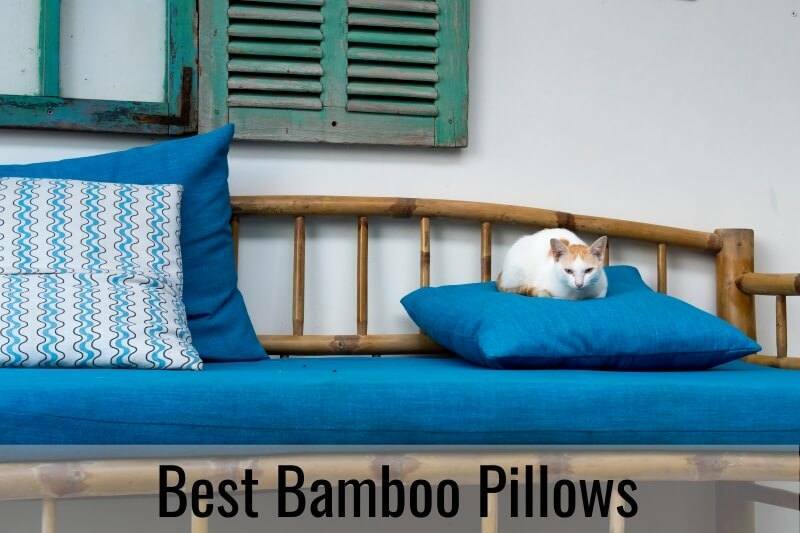 Bamboo is used to make rayon covers and to make shredded memory foam to pack the pillow full with. Bamboo pillows are a more natural alternative to your sleep experience, creating the pillows and products without harsh chemicals or heavy metals. There are less additives, and artificial substances are not often synthetic meaning that you know exactly what is in your pillow and there are not words and chemicals listed that you do not know and do not recognize. 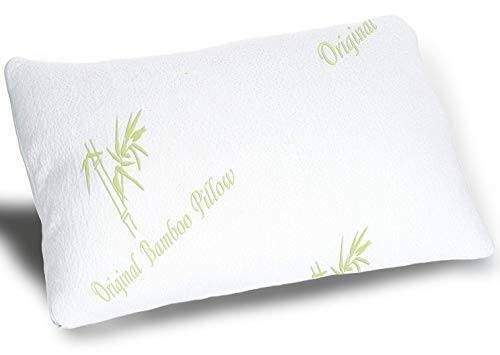 Bamboo pillows are very breathable and comfortable, often allowing for adjust-ability where you can remove or add more shredded foam as needed. They are also more breathable and cooling allowing for airflow. American made: Each and every pillow on this list is made in the America which is something I sought after and value. The reason I particularly searched for American made products is because I know the standards they are held to as well as how their workers are treated. Durable: I do not know about you, but for me personally, I do not enjoy shopping for a new pillow every few weeks or even months. When I buy a pillow I want it to hold up to daily and nightly use and last long. 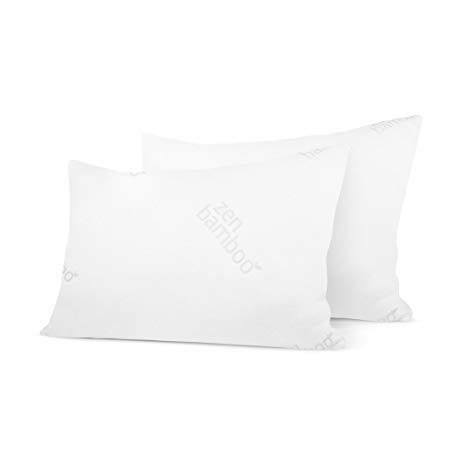 Breathable: Whether these pillows are constructed from shredded memory foam or if they are covered in a bamboo cover, they have a quality that makes them breathable. The pillows being breathable means you will stay cool in the night. Hypoallergenic: I chose hypoallergenic pillows especially because they do not bother your breathing patterns throughout the night. You are not inhibited by irritants and allergens throughout the night. Comfortable: A huge reason to buy a pillow is for how comfortable it is, and comfort can be subjective sometimes so I checked by seeing how it worked not just for me but for my family as well. These are the most comfortable bamboo pillows that I have come across. This hypoallergenic pillow made by Xtreme Comforts right here in the USA is available to you in a variety of sizes. You can get the usual sizes like standard, queen, and king but even a body pillow is available is you would like that. This pillow is completely adjustable and you can firm it up or flatten it by simply moving the stuffing inside. The pillow is hypoallergenic, made without chemicals, and metals and completely safe around you and your children. There is kool-flow technology that allows the pillows to push air around and keep the pillow cool and you as well. It is micro ventilated and that along with the shredded foam keeps the air pumping through the pillow the entire night. Snuggle-Pedic is a company that loves sleep and loves pillows, and has been working on manufacturing and dealing with every aspect of sleep equipment for a long time. The pillows are comfortable and marketed as never going flat, and holds true to this as it keeps up the quality of the pillow even over prolonged time. The materials used for this pillow are all eco friendly and come with a twenty year warranty to last and hold up well regardless of how often and how much you use them. The pillow is also made locally, in the US keeping with the high standards set by America for manufacturing and workers rights. If you are looking for a hypoallergenic and dust mite resistant then this one will be a good option for you and it will keep you breathing easily and regularly throughout the night. The pillows is not extremely expensive and comes in one of three different sizes either the standard, queen or king size. There is a 30 day guarantee on this pillow so if you are not satisfied with it after testing it out for one month you can easily speak with the company to return and refund the product. I do not, however, think you will need to cash in on that offer as this pillow is very comfortable and durable as well for nightly use, without wearing out. These pillows are not very expensive and can be purchased in either the queen or king size pillow to fit your needs and your bedroom. The pillows are both fade and stain resistant to keep them looking and feeling fresh and new. 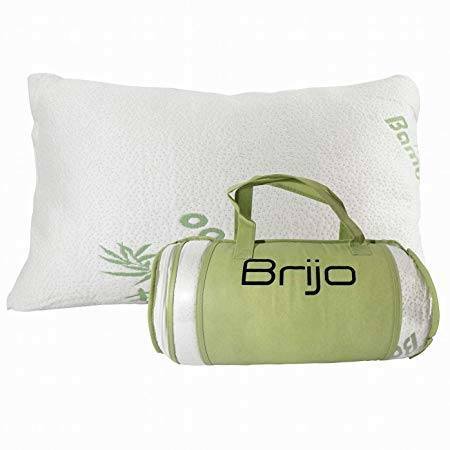 The cover itself is made from bamboo as well as the fiber inside of the pillow which is actually a gel bamboo fiber. This means the pillow is not only comfortable and molding to you, remembering where and how you are laying on the pillow regularly but it will also keep you cool during the night if you are a hot sleeper, you will sweat less and sleep easier. The company that makes these pillows is based in the heart of America, where they uphold American standards of quality and requirements for workers. 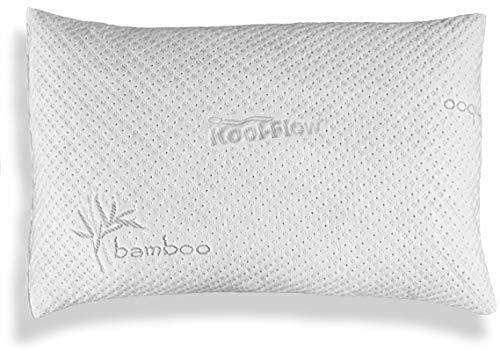 Original Bamboo pillows are made from shredded bamboo memory foam that is easy to adjust, and keeps cooler than most pillows as the air flows freely through the pillow. The pillows is shipped to you rolled up and compressed and needs ample time to fluff up and fill out to the proper fill standard. You can remove the casing of the pillow and wash it in the washing machine without fear of warping the pillow or quality. 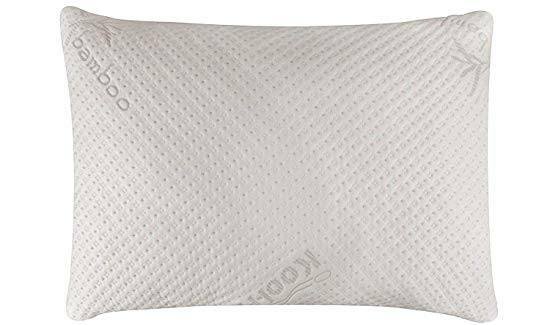 Regardless of whether you sleep on your stomach, back or side, or even if you are a combination sleeper, you will find that this pillow is great for you and any sleeping position. The warranty on this product is for your entire life meaning if you find that it is not what you expected then you can get a refund easily. The pillow is made of shredded bamboo memory foam which allows for air to flow between the pieces, keeping the pillow cool. The cover of the pillow is also derived from bamboo and is very breathable itself and easy to keep clean and fresh, so if you are a naturally hot sleeper this will help to keep you cooler in the night and sleeping easier and longer. The pillow itself can be compressed down to a smaller size and packed away into the case it comes with to take it travelling with you anywhere. Just make sure you give the pillow time to fully unfold and fluff up after you unpack it. If you are looking for a more natural alternative to your pillow and you’ve tried a few and were not satisfied, then you may want to try a bamboo pillow out and see how it goes. The pillows are very sturdy, strong and comfortable, they allow for airflow and keep cool in the evenings. Many of the pillows come with warranties and guarantees although i believe you will be more than pleased with what you recieve. They are high quality and will help you not only get to sleep faster but stay asleep for the entire evening.